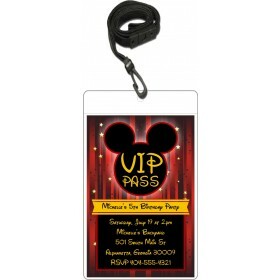 -imprint area measures approximately 1" x 2.75"
-Lasts for thousands of impressions! 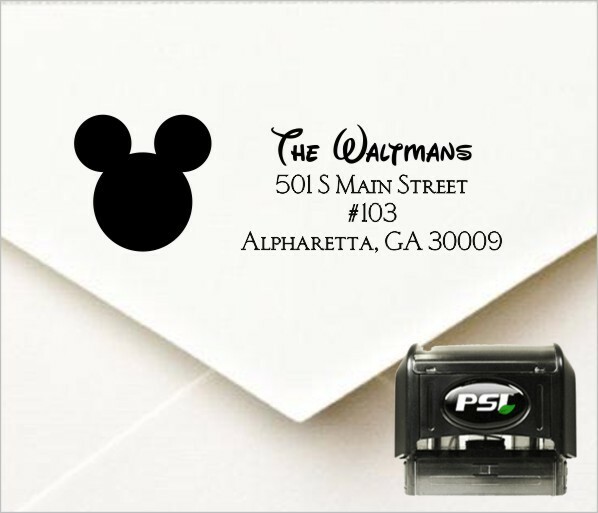 Quickly and easily add your return address to your envelopes with our Mickey Mouse Inspired Personalized Self Inking Address Stamp . Custom stamps are perfect for personal stationery, invitations, save the dates, rsvp cards, thank you cards and business cards. Custom stamps also make a great personalized gift for a loved one ... housewarming, wedding, bridesmaid, birthday and Christmas. 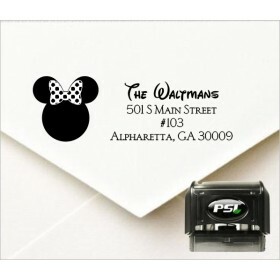 Stamp measures approximately 1" x 2.75". 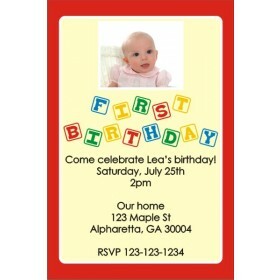 Our stamps are self inking with black ink (separate ink pad not necessary). 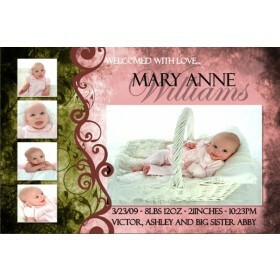 Our stamps last for thousands of impressions and can be re-inked when needed.